It’s not often that I offer my congratulations to Benjamin Netanyahu, the Prime Minister who warned the Jewish electorate that the Arabs were voting in ‘droves’. But his latest appointments have a touch of brilliance about them. 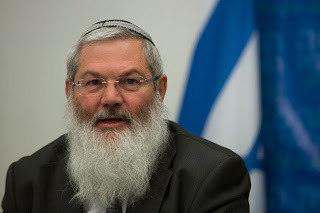 First Ayelet Shaked, who considers Palestinian babies to be ‘little snakes’ was given the Justice portfolio and now Rabbi Eli Dahan, also of Habayit Hayehudi (Jewish Home) has been appointed as Deputy Defence Minister. Dayan is of course well qualified to wage war against the Palestinians. After all the enemy isn’t even human, merely a beast. And just in case you thought he had a special animus for Palestinians, he makes it clear that he subscribes to the Orthodox Jewish view that any non-Jew, Gentile, is by definition inferior to a Jew. Even a homosexual Jew is superior to a Gentile! Of course if the Iranian Justice Minister were to utter these thoughts then he would be pilloried as an example of Islamic barbarism. The comments by Shaked and Dahan are dealt with by pretending they were never uttered. They are erased from human memory. Such are the ways of the free world. And if one were to compare Dahan or Shaked's comments with similar comments by Nazi theoreticians such as Alfred Rosenberg, hanged at Nuremburg after the war, then one would be accused of 'anti-Semitism'. Literally the world turned upside down. 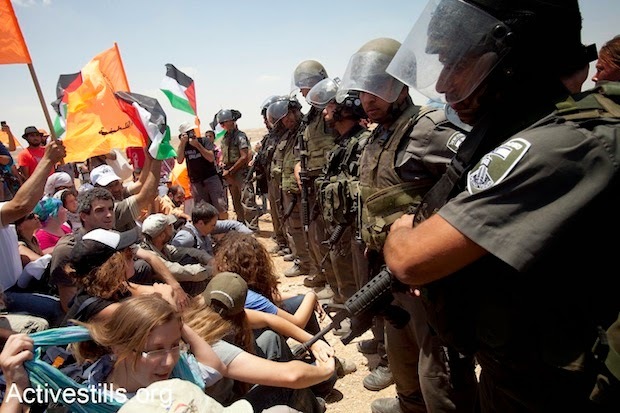 The Civil Administration is responsible for all aspects the occupation that don’t involve boots-on-the-ground security operations — it administers planning, building, and infrastructure for both Jews and Palestinians in Area C of the West Bank. Israelis are right to be worried about MK Ayelet Shaked becoming the next justice minister, and Naftali Bennett the education minister. But try being a Palestinian in the West Bank, where the man in charge of administering your day-to-day life doesn’t even see you as a human being. Question to the New York Times: Why isn’t this a story? Question to American Zionists. Do you believe in the separation of church and state in the United States? Then why not in Israel and Palestine too? Question to American liberal Zionists. At what point do Israeli actions cross a threshhold for you, and you say, I’m going to join the boycott movement because we need to put real pressure on that place to change? In July, in a controversial post on Facebook, the then-member of the Knesset posted the text of an article by the late Israeli writer Uri Elitzur that referred to Palestinian children as “little snakes” and appeared to justify the mass punishment of Palestinians living under Israeli occupation. The post has since been deleted, but an archived version remains. How can a nation so proud of being 'the only democracy in the Middle East' operate as the only theocracy in the OECD? The truth is that you don’t even need to ask anything. Veteran journalist Shalom Yerushalmi from the veteran newspaper Maariv asked for you. A short and comprehensive interview he conducted toward the end of last week with Rabbi Eli Ben Dahan, the deputy minister of religious services, who operates under the wings of big brother Nafatli Bennett, the economy minister who is also officially the minister of religious affairs, paints the picture quite nicely. Do homosexuals change the Jewish character of the state? That's enough of Ben Dahan. In my opinion, he is not the story at all. It is very easy to criticize him, to call him names, to call him “dark” and “primitive.” But there is no use in doing so. An Israeli government that includes a deputy minister like Eli Ben Dahan knows exactly what it is getting. 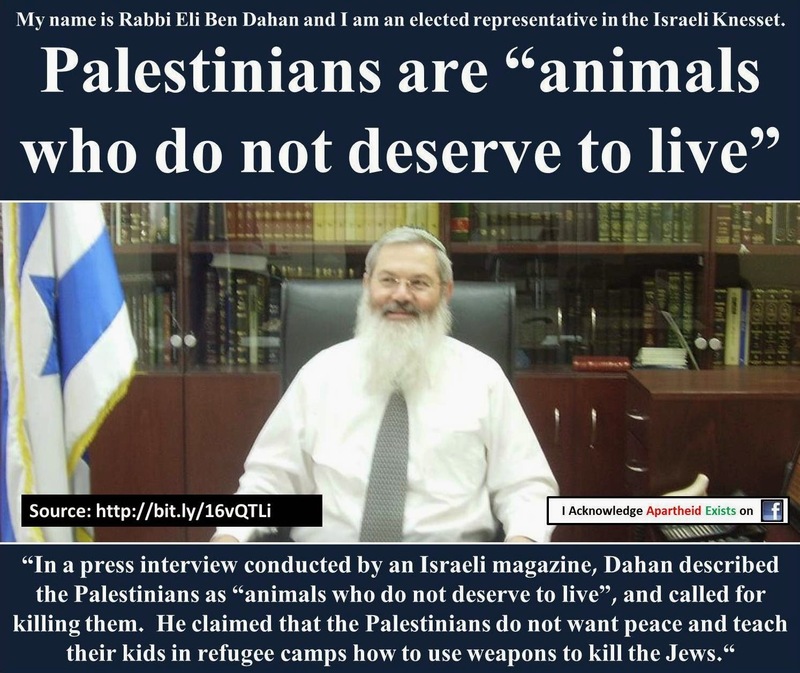 He is an Orthodox rabbi, a senior representative of the Haredi nationalist movement, someone who poured water on the hands of Rabbi Mordechai Eliyahu, managed the rabbinic courts, lived in Beit El in the West Bank and Hispin in the Golan Heights. In the Knesset he represents the Tekuma faction, which is the settler, Haredi nationalist wing of Habayit Hayehudi. Had he been elected to the previous Knesset, he would have done so on the slate of the National Union party, but this time he's with Habayit Hayehudi. Only the names and the wrapping have changed. Instead of the sandals and the Dubon winter coat of his patron Katzele, former Knesset member Yaakov Katz from the extreme right wing National Union Party in the previous Knesset, he now has, in the present round, the sweet talk and miniscule kippa of his new patron Naftali Bennett. An all of them, every last one of them, belong to the umbrella party of the Jewish Brotherhood. There is no difference at all between them and the Muslim Brotherhood, except for the technical difference in the religion they belong to and use. Both of them are fundamentalists who deny the authority and sovereignty of the state and use it only as a tool to achieve their true goals. The real problem is not Ben Dahan and his ilk, but the fact that the Israeli government is dependent on them and puts them in ministerial positions. We must understand what a man like him represents, even in this short and clear interview. He represents a racist and overtly chauvinistic way of thinking. Ways that come to be out of the great number of problems and issues and numbing of the senses that pass all of us by, past our ears without us understanding the scope of the trouble and the depth of the disgrace. According to the Ben Dahanist world view, there is a clear hierarchy in the world. There is a supreme race, the very same chosen people called the Jewish nation. At the top of the pyramid are the heterosexual Jewish men. If I understood correctly, underneath them are the Jewish women, Jewish bastards and Jewish homosexuals; though I am not sure that I understood completely the internal rankings starting with the second position in the upper playoffs. In practice, there is a need for an internal division among the Jewish women: There are heterosexual Jewish women, those who may not tend to fight at high volume but commune intimately with men or with God; and there are women who are Jewish lesbians, who Ben Dahan did not relate to directly (though it is possible that his statements about the mikveh attendants who touch those same women contain a hint to his position on the matter). Now that I think about it, I am also missing a direct reference from Ben Dahan to the Jewish women who have intimate relations with male goyim, and in fact I am missing many, many more such combinations. In fact, I am mad at my journalistic colleague Shalom Yerushalmi from Maariv; his work here wasn’t serious. Despite all of this, I am taking a calculated risk here and, based on the algorithm I have developed, I will present to you the full table of deputy Religious Services Minister Eli Ben Dahan concerning the hierarchy of the human species. Note the fact that below the line are only "goyim;" there is no need or reason to divide them up into subcategories. We only need to pour out our wrath on them, to be very careful not to marry them, and to remember extremely well that even a Jewish homosexual (and it goes without saying about, say, a Jewish heterosexual murderer) is endowed with “a soul [on a] very much higher [level]” than their souls. Truly a nation of a light unto the gentiles. The only question that remains to be asked is this: How can a nation so proud of being “the only democracy in the Middle East,” and “a villa in the jungle,” and all sorts of other stupid slogans; can operate in practice as the only theocracy in the Organization for Economic Cooperation and Development (OECD). Not just because it has combined religion and state from the date it was established, Israel also dismantled the Religious Affairs Ministry and then reestablished it - and then actually, from among all the possibilities, it placed the ministry in the hands of the Jewish Brothers Naftali Bennett and Eli Ben Dahan. This must be a rather crazy nation. For all those who cannot remember how it happened, I will remind you that the non-religious reformist party Yesh Atid made its entry into the Netanyahu coalition conditional on the inclusion of Habayit Hayehudi, the Jewish Brotherhood. I assume that as the beginning of the new year nears, there are those who are asking themselves whether the this party of hypocrites with chutzpah, which took 19 Knesset seats of the non-religious and wrapped them up together with the 12 Knesset seats of the Jewish fundamentalists, will also see it appropriate to leave this disastrous and destructive government sometime. 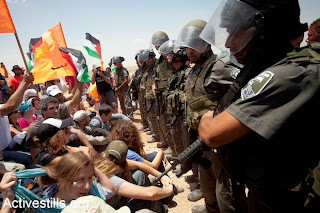 I assume that there are also those who are asking themselves if the party of naive people who are disconnected from reality and call themselves Hatnuah will ever realize that they should do the obvious and right thing, too. Or, in other words, 25 Knesset seats (!) of center-left voters will one day stop strengthening the extreme settler fundamentalist right-wing government that is making a joke out of them by using such people as Naftali Bennett, Eli Ben Dahan and Ayelet Shaked. And so, the answer in my opinion lies in the wonderful and terrifying item from my talented colleague Barak Ravid from Haaretz, which was published Sunday. Everyone is travelling to Davos, Switzerland for the World Economic Forum Annual Meeting with their full entourages and innumerable security guards: Prime Minister Benjamin Netanyahu and Finance Minister Yair Lapid and Justice Minister Tzipi Livni and of course the honorable President Shimon Peres. That is the entire story. Lapid and Livni are enjoying every moment and want to fulfill the dream. They know they have no future; that the only direction they can go from here is down. They are not stupid. They understand very well that they are political history, and will therefore try to postpone their fate for as long as they can. As far as they are concerned, in Davos the desperation is easier, to paraphrase the song, and the racist world view of Eli Ben Dahan and his masters is no more than a small tremor in the wing of the Boeing jet. So they should have a pleasant trip, and be careful with all those goyim running around in Davos between their legs. The main headline in Israel Hayom, or better “ayom” ("terrible" in a Hebrew pun), was “Release, with a heavy heart,” referring to the third round of freeing prisoners in the framework of the Israeli-Palestinian peace talks. To the best of my memory, this was exactly the same headline for the previous round of prisoner release in return for the continued publication of settlement construction tenders. I am aware of the distress of the editor responsible, B. Netanyahu, when it is necessary to phrase a main headline on such a day; but isn’t it at least possible to play around with the words? Let’s say for example, “With a heavy heart, release?” Or maybe “Release, heavy in the heart?” Or “Heavy, release in the heart?” Are we really asking for that much?